In boxing there is a saying: “Nothing gets you ready for the ring but the ring.” The same could be said about the classroom. 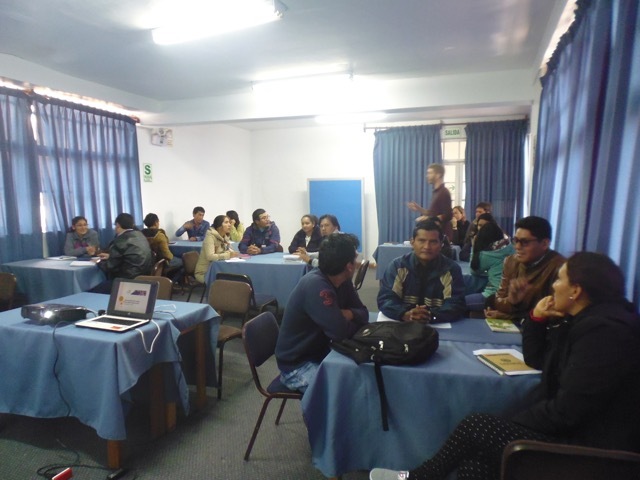 We completed two weeks of intensive training, with 21 teachers from Cusco, Loreto, and Beni, by developing and implementing our lessons in a classroom with 24 students from the Kallpanchis Biblioteca in Cusco. We spent 8 days reviewing theory and strategies, preparing sample lesson plans, testing the lessons on each other, evaluating and analyzing strong and weak points, and then making adjustments. But the classroom is different. Children will surprise you. The first day with the kids went okay. 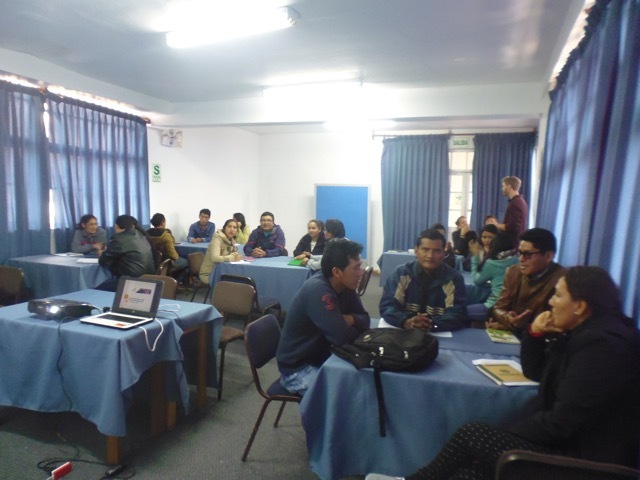 The lesson reached its targets of prompting critical and creative thinking, highlighting personal, social, and environmental values, and was based in local culture. The learning targets were achieved and the kids had fun. But it was a bit hectic. Pieces of the act Civity didn’t have the natural flow of play and we all felt it. In the afternoon we all evaluated the different techniques used to achieve our criteria for a strong lesson, and identified areas for improvement. On day two, our teachers corrected the mistakes, improved on successes, and implemented a fun and meaningful lesson with the students. We began listing the academics we had covered: vertebrate vs. invertebrate animals, organic and inorganic contaminants, creating a budget, developing a work proposal, informative writing, addition/subtraction, multiplication/division. 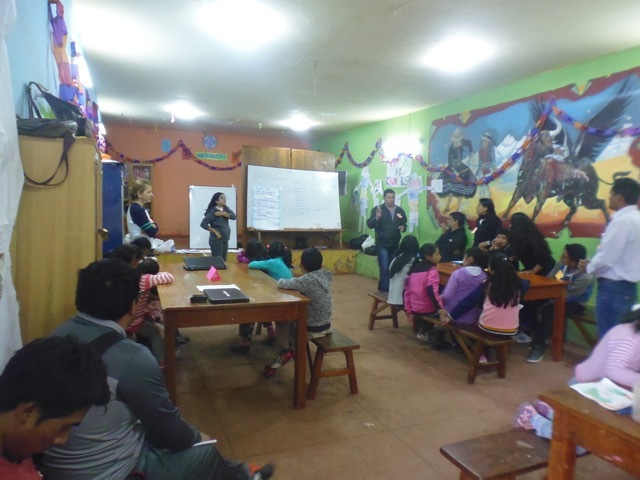 Then we reviewed the cultural and value based components: teamwork, environmental stewardship, empathy, leadership, ayni, minga, Andean fauna and their cultural significance. It was exactly what I hoped. The students learned A LOT but didn’t realize it. Learning, and by that I mean true, deep learning, is fun and integral to seemingly non-academic activities. It is dynamic and evaluative. It is natural. Our teachers are going into the classroom in 2018 prepared by the classroom, and we are all looking forward to the results!